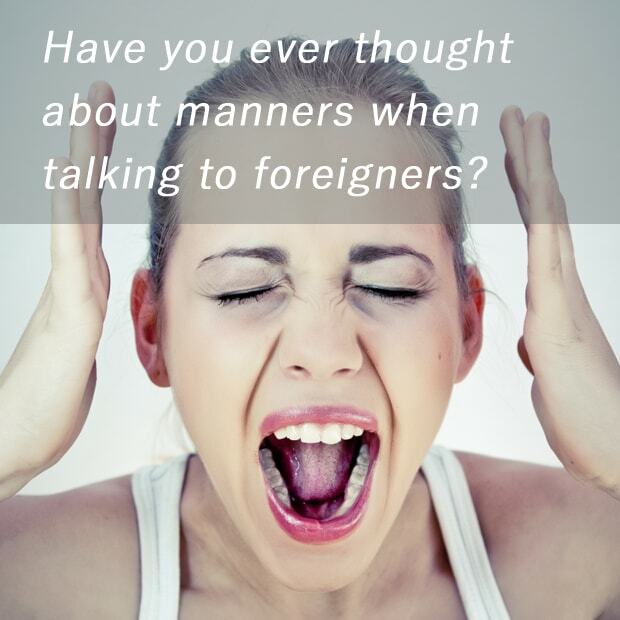 Today's topic is about manners when talking to foreigners. Are Japanese people the most polite people in the world? Hmm... it's a little bit controversy, because we tend to think like "We have good manners, we're polite. Japanese hospitality is the best in the world! ", but Japanese people are sometimes rude to expats people and foreign tourists in an unconscious way. Let's see how and why it's rude. Japanese people who are learning English love to have a chance to talk to someone in English, and it's probably because we scarcely ever meet English speaking people in our daily lives in Japan. However, imagine that you're a foreigner traveling overseas and stopped by people every 5 minutes being said "Are you Japanese? お元気ですか? どこへ行きますか?". It sounds very irritating, isn't it? Do you know which are the English spoken countries? Also, do you know how many languages there are in Europe? English is globally the most spoken language in the world, but if you think like "He/she is a westerner! I can talk to him/her in English!" or "He/she doesn't look like westerner, so I can't talk to him/her in English...", you need to change that way of thinking right away. Expatriates in Japan are often asked same questions and said same things by narrow minded Japanese people. For example, if you say "Have you seen this before? It's a folding fan, it's called Sensu in Japanese!" or "Wow, you can use chopsticks very well." to them, they actually think "Oh, not again...". There are many international students who come to Japan to study Japanese language and Japanese culture. If they talk to you in Japanese, try to communicate with them in Japanese as much as possible. Otherwise they can't gain confidence in their Japanese speaking ability and might lose motivation to study Japanese. It's a very important manner to make their experiences in Japan as pleasant as possible. Well, today I talked about manners when talking to foreigners. Please leave a comment on what I talked about today, because I'd love to hear from readers! Thank you for reading till the end, see you next time!